This natural dish liquid cuts grease without drying hands. Lemon Aide products harness the naturally anti-bacterial powers of pure and high quality essential oils. 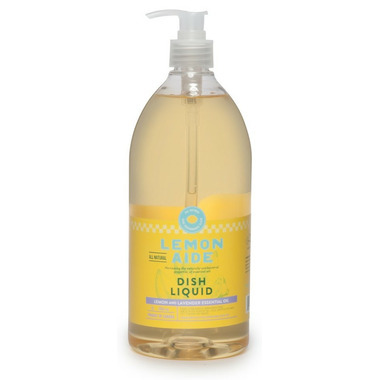 As an added bonus, this dish liquid smells like fresh cut lemons and Lavender and is safe for baby bottles and dishes. Dilute a small amount in your sink with warm water and even wash your veggies! Experience a new level of happy in your kitchen.